Here’s what I really want to say most about the teams involved in this game – my computer is SCREAMING at me the Detroit Lions are 9-10 win/playoff level team just waiting to happen. The Jets stole their signals an embarrassed them Week 1. The Lions got robbed of a win over SF Week 2 but didn’t play great…but good enough to win on the road. Week 3 they crushed the Patriots. Week 4, here, they beat the Cowboys technically but lost on the scoreboard. Not that they smoked Dallas, but they should have won this game. The Lions should be 3-1 right now and the talk of the league. Something is happening with the Lions like The Computer saw last year early with the LA Chargers and the Saints, when they both started out terribly last season and then started cranking around mid-season. The Chargers were 8-8 last year but should’ve been 10+ wins…lots of goofy losses involving kickers. The Lions should be 3-1 right now and in a war with the Bears for the NFC North. I think they will pop the Packers this week at Detroit….and if they do, they, not the Packers or Vikings, will go to the playoffs from the NFC North. Dallas played in this game as well. They played well given no Sean Lee. Dallas is a playoff team, maybe, if Sean Lee is healthy – and the Lions had them down here at home and let them off the hook on a last second FG. The Computer does not like the Cowboys without Sean Lee at all…but love the Lions, uncomfortably so. (1) He’s good enough to fly through a hole and dodge tacklers in the open field (not good at it approaching a congested line)…and the Lions have an emerging fantastic O-Line. You take an RB with flaws and open holes for him…and he’s going to rush for a 1,000+ yards and be hailed a hero. Great, so…my scouting says he flawed for the NFL…Detroit 2018 may be the perfect spot for him because that O-Line (as-is today) can give him what he needs to activate. (2) LeGarrette Blount is overrated and not a lead RB anymore. Theo Riddick is a turtle for speed with good hands – Johnson is the only one among the Lions RB group with any pop. My NFL Draft scouting vs. what I see lining up after 4 weeks of 2018 season? Go with what’s going to work, not win on a scouting technicality. 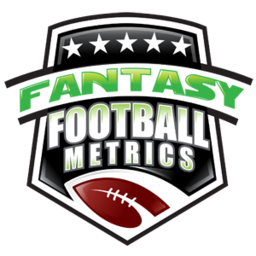 Johnson is going to start to matter more every week and could be the new Melvin Gordon/Devonta Freeman for me…guys I don’t like for running styles, but their teams love them and push them -- and that matters for fantasy. I’m a Kerryon Johnson buyer on the cheap, but not chasing at all. I’m willing to put him on my bench or use in BYE weeks until he gets lit…in about 1-2-3+ weeks as the Lions start to make a run at the playoffs. Is this counter to my thoughts on Sony Michel? Isn’t he of value getting good touches in NE? Honestly, I think Johnson looks NFL-better than Michel and I like this Lions O-Line when T.J. Lang is healthy. Regardless, Michel as an RB3 price, I’d hold him for touches. My point on him is – he’s hot today, an RB1.5 valuation I’m willing to sell. I get the vibe Kerryon is an RB2.5 in redrafts, RB 1.75-2.0 in dynasty/more fairly valued in dynasty. Golladay is a clear #2 in the pecking order and a solid WR2, moving towards WR1.5 status. Marvin Jones is in WR3-land. Side note…if this O-Line is going to be great, and the Lions are about to take-off…Matt Stafford (24-30 for 307 yards, 2 TDs/0 INT) is going to jump into QB1 status again. Takeaway the Jets Week 1 horror show, in the past 3 games – 2.33 TD passes/0.33 INTs, 305.3 passing yards per game with two 300+ yard games. -- Michael Gallup (2-45-0/5) took a small step forward starting emerge for the mire of Dallas WRs. It was a small step. He’ll be ‘the guy’ at some point for Dak, but it still looks 3-4-5+ weeks away from getting to something for FF. 4.0 rec., 6.0 targets, 43.0 yards, 0.50 TDs. He’s almost like the top target on the team anymore, which is sad…but true. You could do worse for a fill-in TE. #4 in the NFL in sacks…without Ziggy Ansah really playing. #2 in passing yards allowed per game, just behind Jacksonville. The problem is #32 in rushing yards per game allowed. The numbers/rankings above were a lot like the Chargers last season. Week 7 vs. MIA and maybe Week 8 vs. SEA is useful coming up. MIN-CHI-CAR-CHI-LAR Weeks 9-13 might wipe them out…or prove their mettle. Like it…a lot…with Sean Lee. Hate it without. If Lee is back 100% for Weeks 6-10, I’d be happy to use their DST…JAC-WAS-BYE-TEN-PHI. Not a great schedule stretch, but doable considering a healthy Dallas defense is a top 3-5 one in the NFL. Remember, Byron Jones is a shutdown corner…basically the left side of the field is not a no-fly-zone for Dallas, and that was obvious in this game. David Irving is a top NFL DT, and he’s back this week from suspension. They are potentially awesome at full strength.